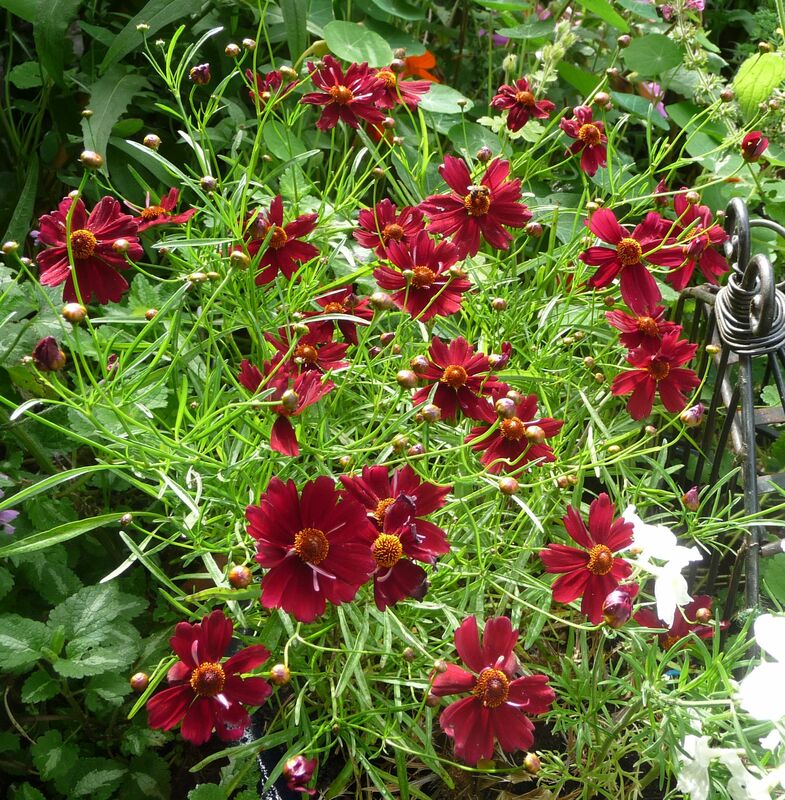 Shiny buds of Coreopsis open into YELLOW flowers that bloom from summer into late autumn & are much visited by bees. Pinching off the spent flowerheads persuades the plant to make more flowers. Our first Coreopsis grew in the crook of the fallen Damson trunk. Its flowers glowed in the sunshine. At left is our best photo of that plant, taken before the digital camera. 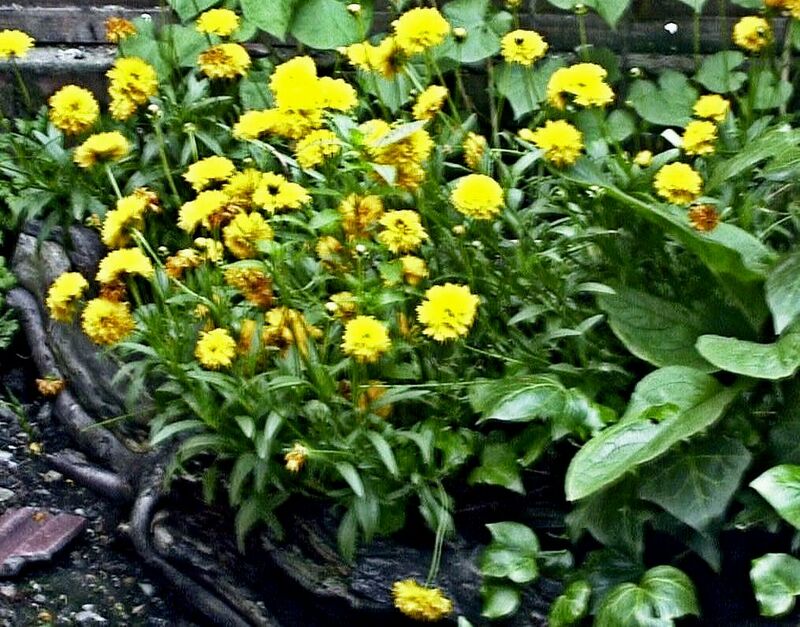 A taller yellow Coreopsis in my mother’s garden drew finches and sparrows in Autumn to feast on its seeds. In 2016 the vivid RED Coreopsis at top, ‘Limerock Ruby’ from Camden Garden Centre, brightened our garden. 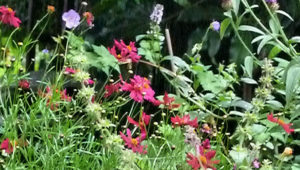 The flowers were small, as were the pollinators who came to visit it. We are advised to shear it back after its first flowering; it may be best to treat it as an annual.